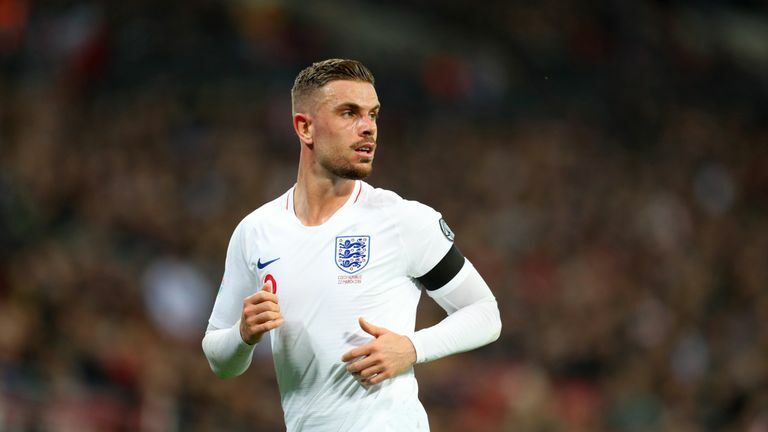 England manager Gareth Southgate says Jordan Henderson remains a key member of the squad who makes other players perform better. England boss Gareth Southgate says his side for Monday's European Qualifier in Montenegro will again have a youthful look - despite the prospect of a hostile environment. And, asked if he would hesitate to play his young stars in less welcoming surrounds, Southgate said: "No hesitation. Eric Dier was in the line-up against the Czechs but will miss out on Monday due to injury - meaning West Ham midfielder Rice could be in line for a first England start. Southgate said: "We are always looking at the balance of the team, what is best to get a result. Will England pass their next test? "The make-up of the side will get the best out of the players we have here and available and I think we will have a very strong team out. "Declan came into the game the other night, which was a great way for him to gain some experience of international football, so he is another one I would have no hesitation in starting."